and what it will take to keep each piece looking top notch year after year. Choosing outdoor furniture is pretty much the same process as choosing indoor furniture, except for one rather large consideration: the weather. You have to balance the looks of your outdoor furniture with the amount of time and effort it will take you to keep it lasting and looking good as long as possible—not to mention a seemingly endless amount of options to choose from. Should you go with teak or aluminum? Dining or lounging? Ultra-contemporary or casual transitional? And is it really okay if outdoor upholstery gets wet? The following guide will provide you with the answers you need to choose the outdoor furniture that best complements your style, outdoor space and desired level of maintenance. 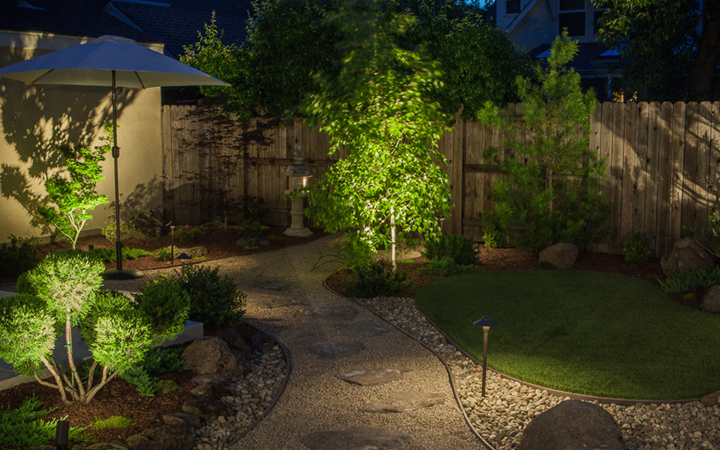 How will you use your outdoor space? Dining, lounging, hanging poolside? Knowing this will help you decide between the long teak dining table and chairs, a plushy upholstered outdoor sofa or a chaise lounge. How much space do you have? Do you have enough room for a dining and lounging space, or do you need to choose one or the other? Also, consider proportion. If you only have a small patio space, it probably wouldn't do to choose an oversized sectional sofa. Conversely, if you have a large outdoor space, use it to go larger scale with your chosen pieces, and even to create full separate lounging and dining spaces with plenty of elbow room in between. How much maintenance can you handle? Think about how much your furniture will be exposed to the elements or how often you expect to change it. That will help determine what material will work best for you. For all of recorded history—and likely eons of time before—wood has been used to create indoor and outdoor furniture. Not all wood outdoor furniture is made the same, however. What determines its long-term endurance outdoors is the exact type of wood that’s used. 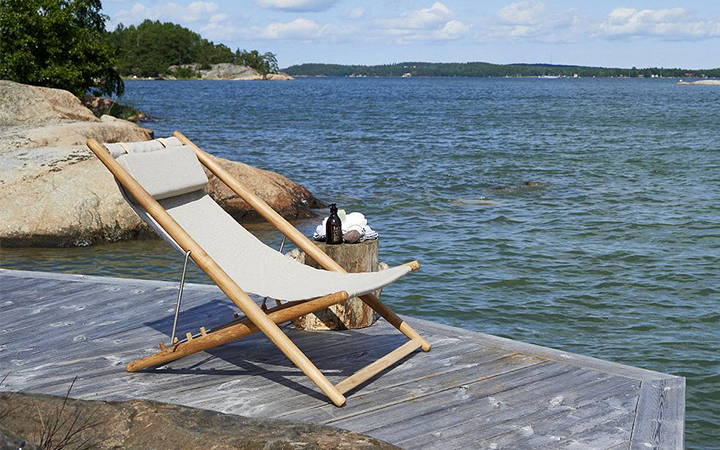 Teak is a highly desirable material for outdoor furniture for a number of reasons. Most importantly, it is very dense and has a naturally high oil content, which means that it’s quite strong and resistant to weather and pests. It has a gorgeous golden tone and fine graining. Plus, it’s very easy to care for. Periodic applications of teak oil will help the furniture retain its original color, or you can let it age naturally into a silver-gray patina. Either way, the teak remains structurally strong and can last a lifetime. Grade A teak (which you'll find in the brands at Lumens) is top quality and free of knots. These days, teak for furniture is usually sourced from regulated plantations or recycled from decommissioned buildings and other structures in Thailand or Indonesia. So the teak furniture by makers like Mamagreen and Skargaarden is sustainable as well as beautiful. Dense hardwoods, like mahogany and eucalyptus, are also great options for outdoor furniture due to their resistance to rot. They are also similar to teak in maintenance, but won’t last as long. This material has rustic beauty and texture that fits in perfectly with natural surroundings and brings a natural feel to more urban settings. Metal is synonymous with strength and power; not bad qualities for outdoor furniture to have. Besides that, metal can be welded or cast to create designs ranging from contemporary to classic, and everything in between. And because it’s metal, whatever design you choose is made to last. There are many metals out there, but the most common types used for outdoor furniture construction are powder-coated aluminum and steel. Aluminum stays relatively cool in sunlight and is resistant to rust (though the salty air in coastal locations could pose a greater risk). Plus, it’s lightweight, which makes it a particularly attractive choice for chairs that need to be moved or stacked. 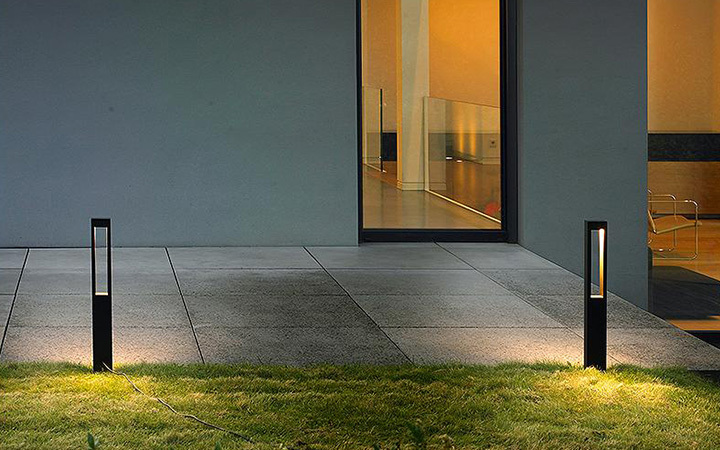 A powder-coated finish only adds to aluminum’s durability and versatility of color options. Steel is stronger than aluminum, so it can be used for larger weight-bearing pieces like sofas and sectionals. However, that also makes it heavy. Steel can also be subject to rust so, if that’s not a look you desire, make sure steel outdoor furniture has a protective finish. You can count on metal's strength, and it comes in all kinds of design options. 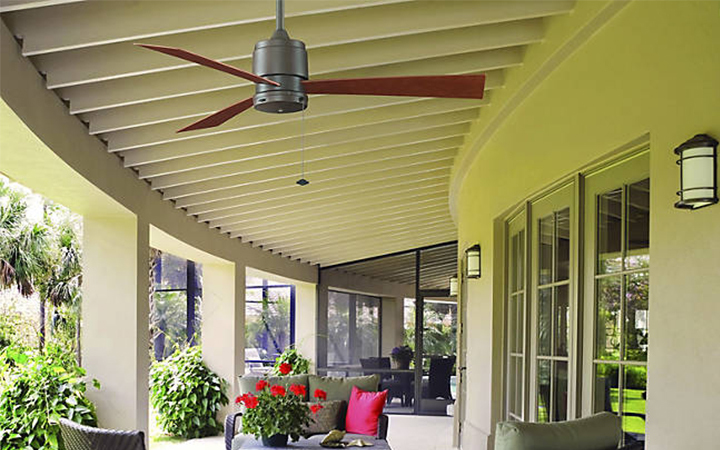 Manufacturers like Fermob use metal to create designs of amazing variety and color. Wicker is a traditional material that became a popular furniture option in Europe and North America during the Victorian era. 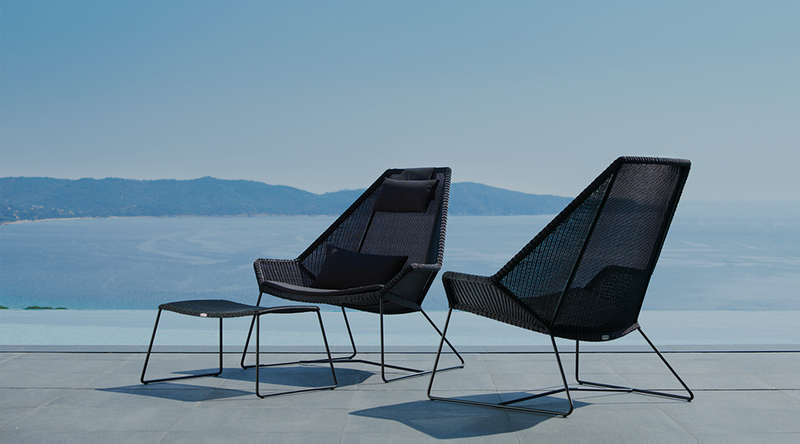 All-weather wicker is made using plastics and other synthetic fibers, which are extruded in such a way to mimic the texture of natural rattan fibers. The furniture is then woven in the classic over-under manner to complete the time-tested look. It has a similar appearance to natural wicker, but with added qualities like easy maintenance and—just as its name implies—the ability to endure all weather types. It gives the look of natural wicker, but is made out of materials that guarantee it will last years—if not decades—longer. It’s also very low maintenance—simply hose it down when it needs a good cleaning. Advanced manufacturing processes means that plastic is experiencing a kind of renaissance in the world of furniture design. Not only will plastic last in all sorts of weather conditions, its initial malleable nature allows it to be molded into shapes and sizes of furniture never seen before. Plastic can be used to create (or recreate) pretty much any furniture style you can think of. You can choose classic Adirondack style chairs (e.g. Loll Designs), fluffy-looking easy chairs (Kartell) or sharply faceted tables (Vondom). Not to mention the literally limitless array of colors. As the most common kind of plastic in general, polyethylene is also the most common plastic used to create furniture. It is a cost-effective material, and is easily molded into strong final structures. HDPE used in milk jugs, piping, etc. can be rather easily recycled and processed to create furniture. Similar in nature to PE, polypropylene is more lightweight and is highly resistant to chemical exposure and heat. A very tough material, polycarbonate is used to create furniture when extreme heat and impact resistance and transparency are desired. Similar to polycarbonate in its transparency, acrylic or PMMA plastic is more cost effective and not quite as strong. It is often used as a shatter-proof alternative to glass, but is still susceptible to cracking over time. There’s really no outdoor furniture style that can't be made with plastic. And plastic furniture tends to be much lighter than furniture made out of other available materials. Fabric, outside? That’s madness, you might say. Many people think there’s no way fabric can resist the moisture, stains, fading and degradation from constant exposure to the elements. But indeed, it can! Fabrics can most certainly endure the outdoors these days, thanks in large part to plastics. Polypropylene, acrylic and the like can make up the threads that are woven into a finished fabric or may be applied as a protective coating. Upholstered outdoor furniture should still be protected from exposure to lots of rain and other inclement weather (such as during the winter months), but today’s outdoor upholstery can certainly have a happy life in the open air. Batyline: A mesh sling fabric made using polyester yarns. Developed by Ferrari. Dralon: A dry-spun acrylic fiber fabric. Sunbrella: A solution-dyed 100% acrylic fabric. Texsilk: A solution-dyed 100% olefin fabric. Vinyl/faux leather: A smooth fabric usually made out of polyester. To help outdoor upholstery resist the elements, it is also necessary to make sure that the fill inside is similarly resistant. Depending on the manufacturer, breathable and waterproof fill can have different names. But you will commonly find it as QuickDryFoam, which is and does exactly what its name implies. There’s a reason we use fabric so much indoors; it’s just so comfortable. As such, it is the perfect way to bring the style and livability of the indoors out. The Final Step: What's Your Style? 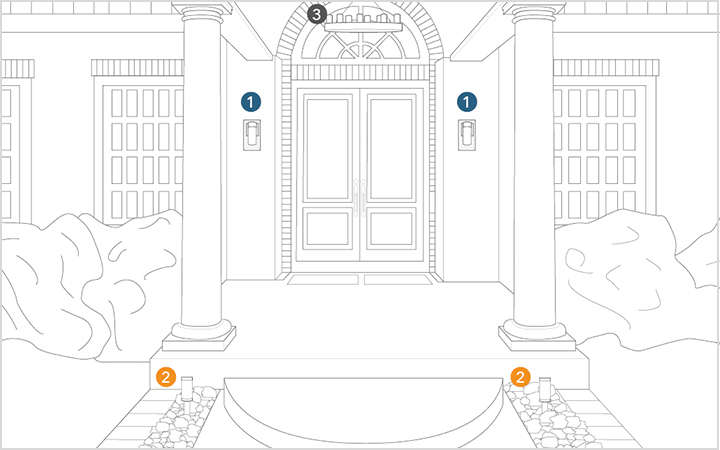 After you’ve considered your outdoor furniture’s function and scale, then you can have the fun of deciding your favorite style, color and material. Your choice of furniture should visually complete the outdoor theme already established by the landscape and hardscapes. But exactly what that means in practice is really up to you. Want contemporary furniture in an English garden setting? 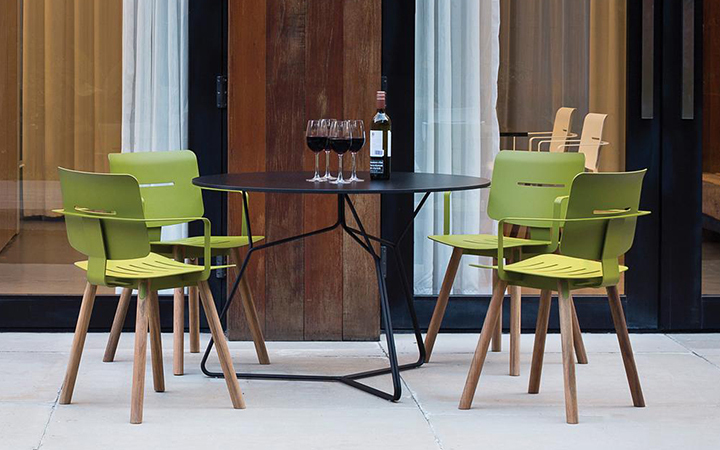 All your outdoor dining chairs made out of different materials and colors? Whatever completes your vision, go for it.